Harbor Island is situated in the state of Washington in the USA. It is located very close to the metropolitan area of Seattle. Generally the island is artificially created. 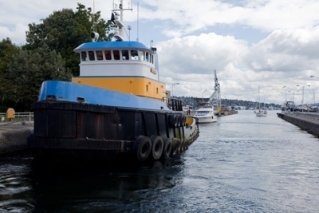 It is located just in the area where the Duwamish Waterway is emptying in the Elliot Bay. When it was made, back in 1909, the island was the largest artificial one in the world, with total territory of 1.4 square kilometers. The basic materials, used for the making of Harbor Island were pieces of earth mainly taken from the regrades at Dearborn and Jackson Streets. The place lost its leadership as the biggest artificial island in 1939. This is due to the building of the Treasure Island, situated in San Francisco. Then again for very long time it earned back the first place, when impressive territory was added to the original surface in 1967. But it could not stand the competition of the Japanese, who made the Rokko Island at the Kobe Harbor in 2004. The main use of the territory of the island was connected with industrial activities such as metal fabrication, storing cargos and shipbuilding and repairing. Several important bridges are crossing the area of the island. Some of them are the West Seattle Bridge and the Spokane Street Bridge. The first one is the most important connection in the area between the region of West Seattle and the rest part of the city. The second one is kind of swing bridge, which is connecting the island with the west part of Seattle. The construction of the bridge was several times renovated and that is why it has earned awards for its technical qualities, the most prestigious of which was the Outstanding Engineering Achievement Award, received in 1992. The bridge was the main object in one of the Discovery Channel series of “Really Big Things”. 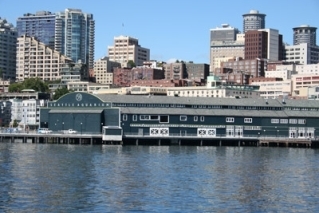 For the visitors of the area, the downtown cruise terminals of Seattle are offering great cruises in the region. There are more than ten quality cruise ships, who will take the tourists to one unforgettable journey. 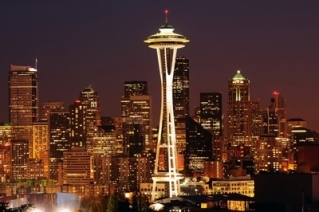 The biggest attractions of the area are located in the nearest city of Seattle. Visitors will be impressed from the beauty of the town and the numerous ways to spend the free time, which it is offering. The fairs and festival in the city is something very common, and the events are attracting thousands of visitors in the area. One of the most significant of them is the Seattle International Film Festival, which lasts for twenty-four days. The sea is honored through the several events, dedicated to it during the summer months of July and August. As a metropolitan area, the city is hosting many festivals, which are connected with the culture of its multinational population. One of them is the Greek Festival. Very important part of the cultural life of the city is its museum and galleries. The tourists will spend very interesting time at the Henry Art Gallery, which is the first public place of this type and is managed by the University of Washington in Seattle. Visitors should also go to the Seattle Art Museum and the Seattle Asian Art Museum. There is great zoological garden, called Woodland Park Zoo, which is showing impressive collection of exhibits, which are presenting the local flora and fauna, and also some exotic parts of the planet.